(IsraelHayom).Prime Minister Benjamin Netanyahu announced on Sunday the creation of a team of ministers charged with formulating policies to improve the standard of living of Israel's middle class. The team will conduct discussions with a variety of experts and stakeholders, including the leaders of the protests that have rocked Israel over the past two weeks. "We are now in the midst of a complicated and challenging reality, both internationally and domestically, in the face of which the government must act responsibly and sagaciously. It must take proper and responsible steps and avoid irresponsible ones," Netanyahu said at the start of the weekly cabinet meeting on Sunday morning. Netanyahu added that the government needed to change its list of priorities in order to deal with the "with the genuine claims and distress," while avoiding "irresponsible, hasty and populist steps that are liable to cause the country to deteriorate into the situation of certain European countries, which are on the verge of bankruptcy and large-scale unemployment." To this end, Netanyahu said he would appoint a special team of ministers and experts that will propose a responsible and practical plan to alleviate Israelis' economic burden. "I ask the team to open a roundtable, to invite representatives of various groups and sectors, to hear ideas, to hear claims and to hear solutions, and afterwards to submit a plan for implementation to the cabinet and to myself, which we will implement in order to alleviate Israelis' economic burden." The team of ministers appointed Sunday by the prime minister will examine methods such as reducing indirect taxation. He added that the newly-appointed team would meet with a variety of experts and stakeholders, including the leaders of the protests, in order to come up with solutions to the country's socioeconomic distress. Deputy Knesset Speaker Ofir Akunis said Sunday that the team's work would be prolonged and measured. Vice Prime Minister Silvan Shalom suggested that budgets should be shifted from defense-related areas to purposes such as welfare and education. "It is inconceivable that the Defense Ministry has requested that its budget be supplemented four times since the budget was approved," he said. Another committee set up by the prime minister to examine economic concentration in Israel was expected to present its findings Sunday. The committee was originally planning to publish its report in September, but moved up the timetable due to the protests. The government is also hoping to head off a rise in the price of gasoline, which was scheduled to go into effect Saturday night. Netanyahu plans to create a special team to negotiate with the protesters in order to find an acceptable solution to the housing crisis and the rising cost of living. (Shlomo Cesana-Israelhayom).Ten days passed between the start of the tent protest and the presentation of the government's program. On the one hand, there's a problem: a thriving economy, a historic low in unemployment and a stability that is the envy of Western economies. On the other hand, there's a protest: Prime Minister Benjamin Netanyahu himself said it was justified, but the folks from the tents really want his head. A third viewpoint is that of the Organization for Economic Coordination and Development, which says these are “rich people's problems,” but the truly rich, the tycoons, are actually enjoying themselves. And from yet another perspective, Netanyahu's advisers have identified an effort to turn the tent demonstrations into those that caused the fall of the Olmert government after the Second Lebanon War. That was the part missing in Prime Minister Benjamin Netanyahu's speech on Tuesday during the presentation of the plan for dealing with the high cost of housing in Israel. But since no one was prepared to add this imaginary paragraph to the speech, it was clear that no matter what the government offered, it would be met with rejection. While the government's plan was being presented, television channels showed a split screen between the press conference and the tent city. Those who read the websites could note an attempt to draw comparisons between what was happening with us and what happened in Tahrir Square, where the protest led to the fall of Egyptian President Hosni Mubarak. Ten days passed between the start of the tent protest and the presentation of the government's program. The prime minister's aim in presenting it was to show that he is a leader with solutions. It seems that it was clear to him from the beginning that he could not simply say, “I was the first to identify the problem,” but that he had to take action as well, and now. Netanyahu decided not to be interviewed or to meet the demonstrators, but he had an indirect conversation with them. He did so even when it was clear that no matter what he offered, they would not take the tents down. The press conference was long and had many speakers, but represented Netanyahu's true beliefs. He clarified matters: I have identified the problem, and it's being taken care of. But he was then asked if he was now presenting a program because of the pressure. “I have been dealing with the problem for many months,” Netanyahu said. “I have a very systematic approach, and we are taking dramatic steps to change the face of our economy and society by solving the housing crisis, improving our connection to the periphery, making more land available for building and simplifying the bureaucracy. Politically, the Prime Minister's Office has noticed some people are trying to turn the tent protest into the type of protest there were against former prime minister Ehud Olmert after the Second Lebanon War. But even then it was not' the protests that brought down the government. (Haaretz). More than half the population is unhappy with Prime Minister Benjamin Netanyahu's handling of the tent protest, according to a Haaretz poll conducted yesterday. The poll also shows that an overwhelming majority of the public supports the protest and believes it stems from real distress. Figures from the poll indicate that if elections were held today, both Kadima and Likud would lose four Knesset seats, while Labor would double its parliamentary strength. Shas, would gain three Knesset seats, Yisrael Beiteinu would lose one and Ehud Barak's Atzmaut faction would not make it into the Knesset. Meretz would gain one Knesset seat, while Hadash and Ra'am-Taal would remain with the same number they have at present. Asked whether the tent protest stemmed from real distress or was a political protest against the government, 81 percent of the respondent replied that it stems from real distress, while 87 percent said they supported the protest. Only 9 percent of those interviewed said they did not support the protest and 4 percent had no opinion. More than half the respondents, 54 percent, said they were not satisfied with the way in which Netanyahu was handling the crisis; 32 percent expressed satisfaction with the prime minister's performance, and 14 percent did not have an opinion either way. According to the poll, 54 percent of the public is unhappy with Finance Minister Yuval Steinitz's performance, while only 22 percent were satisfied with his work; 24 percent had no opinion. However, only 26 percent of the public would like Netanyahu to fire Steinitz and appoint Minister Moshe Kahlon in his place; 37 percent would not like Steinitz to be replaced, while 36 percent had no opinion. Some 55 percent of the respondents believe the tent protest will lead to a reduction in housing prices, compared to 31 percent who predicted it would not bring about any change; 14 percent failed to express an opinion on the subject. (Our Israel correspondent - Idan B. Jacobs). Over the past few weeks we have been witnessing the Israeli public waking up from indifference and injustice in high cost of lives and start to demonstrate - by boycotting or taking it to the streets. That's a blessing: more and more people care about politics rather than just watching reality shows. It started with the high gas prices, moved to boycotting Cottage cheese and striking for public health-care system, eventually it all exploded in the rise of housing/rent cost protests. The protesters, backed by the Media blame the current government for the neglect of years. While their cry is true, their analysis of the siuation in my humble opinion is distorted. Israel's economy's main problem isn't the free economy, but the lack of it. Let's examine what the protesters suggest: Social Justice - "Take from the rich and give to the poor" (Credit: Robin Hood). Well, Israel is a small country in an area of conflict since day one, without making it attractive for investors, the economy will fall and the unemployment rate will rise. But the demonstrators who at first claim to want solutions; now chant their wish to topple the government (holding up signs like: "Bibi go home" or other slogans copyrighted by left-wing parties). Can you call this a free market? Even the enthusiastic Zionist Glenn Beck would of organized a tea party movement against this system of Government. Because if you don't have a liberated and transparent economy, one of which you tax and regulate wisely, you care not able to ggrant the public quality services. And if you choke free initiatives you have nowhere to take the money from (since you will only end up in debts). The public service shouldn't reward workers just for being organized, but for giving the best treatment. Workers should get social rights, but incitements given only to those who stand in their committed goals. How can you fund these services? by cutting government spending. Which means? Cancel unnecessary government jobs and reduce salaries for less important roles. Give the money to those who really deserve it. Can't do that? Let the private sector solve it in a transparent and regulated contest, like Kachlon did in the cellular market. But how can the Prime Minister continue with such reforms when the ruling party in the coalition has just 27 seats in the parliament (22% of the Knesset). It's being blackmailed by all factors I've mentioned and still tries to do its best in this reality. The protesters wants the public assets to land in the hands of the people, but their way of thinking leads to complete nationalization which leaves it under the hands of inefficient ministers. Ze'ev Jabotinksy once said that "the concentration of fortune in the hands of tycoons is as bad as in the hands politicians". and look who is jumping on that role to lead - the Media, the written press claim it's a social revolution. But the newspapers themselves are run by tycoons with an interest to stall the threat of competition in the market! So what do they do? Bash this government for any privatization; it's like a guy wearing a T-shirt of Che Gurvara! Socialism has become a popular brand name these days. "The hippies shouted 'make love, not war' but they didn't look like they could do either" (Ronald Reagen). The protesters chant 'social justice, not pig-like capitalism' but they won't get either. The real demand should be to change the method and not the government. To empower the people through a constitution and declare a territorial nationality, not have a Marxist revolution that would make Israel like Cuba. The media is in love with the romance of the protesters but fail to focus on the core of the problems. Since the security and the economy are so well-handled, the public debate can have the luxury of shifting to domestic issues. hence, This government has proved successes in security, economy, communications, education, environmentalism, transportation and more. Why not let it finish it's term and than decide? (Dr. Aaron Lerner - IMRA). Prime Minister Binyamin Netanyahu has the very good fortune to be facing the housing market challenge years rather than months before the next elections. Mr. Netanyahu can use the protests to push through the various measure needed to make housing affordable while at the same time reducing travel time between the periphery and centers of employment to make living in the periphery more attractive. While the motivation of some of those behind the protests is hardly ultimately facilitating a Likud victory at the polls, it could very well turn out that thanks to the improvements that follow in the wake of the protests that the Likud ends up being the major political beneficiary of the protests. Israel's middle class hit Tel Aviv's streets on Saturday night at the height of the tent protest. Police estimate that over 20,000 people participated in the march. The demonstrators shouted, "Bibi, wake up! People are worth more!" Their demand was simple: affordable housing. They chanted, "An entire generation demands housing", adding, "Apartments aren’t a luxury! Capital, power, crooks!" "People demand social justice! An entire generation demands a future. We want justice, we don’t want charity,"
Tent protest organizer Dafni Leef said, "We must stay on the streets. This is the people's protest. A roof should a basic right. We're the nation's foundation, and we must demand our rights." Following a week of tent protests in Tel Aviv and Jerusalem, nearly a thousand demonstrators furious over the soaring cost of housing marched to the Knesset on Sunday night with a dozen tents hoisted on their shoulders. Chanting “the nation demands social justice!” the demonstrators packed up their temporary camp-out in Kikar Tzahal, next to the Old City Walls, and moved their tents next to the entrance to the Knesset. Prime Minister Netanyahu on Sunday reassured those protesting against soaring housing prices that as early as this week, a series of steps will be taken to reduce costs and simplify planning and building procedures. “Apartments are too expensive because there are not enough of them. There are not enough apartments because a government monopoly holds more than 90 percent of the land in Israel, and it is not releasing it,” Netanyahu said at the start of the weekly cabinet meeting. “First of all, it is not releasing it for planning because there are planning committees, the most cumbersome in the Western world or nearly so, and it takes five or more years to plan an apartment in Israel. “It is not releasing it because when an apartment is planned, in order to market it, there is another cumbersome body, called the Israel Lands Authority, which releases it very slowly, at very high prices,". “To change this, it is necessary to bring about a fundamental change, to break the government monopoly, to simplify the planning and building committees and to simplify the ILA and change it into a body that markets the land of the State of Israel for the Israeli people". President Shimon Peres addressed the growing housing protest during the State ceremony honoring Israel's deceased presidents and premiers. "A leader is tested in hard times, when he is required to make hard decisions. He may see his supporters fidget uncomfortably, he may hear the disappointed voiced from his own camp, and the cold math may lead him to doubt whether he can raise a majority". "In such a time he is tested – does he lead, or does he follow?" Peres said, hinting to Netanyahu's handling of the affordable housing protest. Although peace between Israel and its neighboring countries seems impossible to reach, peace will ultimately come along with recognition of a Jewish state, Prime Minister Netanyahu said on Thursday at a memorial ceremony at Mount Herzl in Jerusalem. "Even though peace seems distant and unattainable and there will be many more obstacles before it is reached, peace between us and our neighbors will come." "We will know peace has been reached when all our neighbors recognize the right of a Jewish state to exist, just as Benjamin Ze'ev [Theodore] Herzl predicted." (HuffingtonPost).A newly released poll of Jewish American voters, which was sponsored by the progressive-leaning group J Street and designed by prominent Democratic pollster Jim Gerstein, has Jewish Americans approving of the president’s job performance by a 20-percentage point margin, with 60 percent approving and 40 percent disapproving. 56 percent of respondents disapproved of the job he was doing on the Israeli-Palestinian conflict while 44 percent approved. Jewish Americans were split on Obama's handling of the economy, with 51 percent approving and 49 percent disapproving. Despite loosing a chunk of that early support -- and facing skepticism on the economy and Middle East policy -- wary of the president, American Jews aren't bolting elsewhere. In a hypothetical match-up against former Massachusetts Governor Mitt Romney, Obama holds a 63 percent to 24 percent advantage, Against Rep. Michele Bachmann (R-Minn.), Obama's advantage is wider: 67 percent to 19 percent. Those margins fall short of the 78-21 percent victory Obama scored among Jewish voters when he squared off against Sen. John McCain (R-Ariz.) in 2008.
pollster Jim Gerstein's prediction: If those who are currently undecided break according to their party identification, Obama would reach 70 percent of the Jewish vote against Romney, who enjoyed only a 16 percent favorable opinion rating (60 percent unfavorable). Obama would reach 73 percent against Bachmann, who had a 12 percent favorable rating (57 percent unfavorable) in the poll. When it comes to campaign money, The survey found that of the 16 percent of respondents who said they made a contribution the Obama campaign in 2008, 82 percent said they will donate again or already have done so. Gerstein acknowledges the loss of one donation bundler could erase the benefits of maintaining popularity among a wide swath of smaller donors. The J Street poll was conducted online July 7-12 among 800 Jewish Americans who participate in online surveys conducted by the polling company YouGov/Polimetrix and has a margin of error of 3.5 percentage points. Prime Minister Benjamin Netanyahu addressed the Christian Zionist conference via satellite, telling them the United States and Israel one and the same. “We hear your voice loud and clear. We appreciate the rock solid support of the one and only Jewish state ...We need to defend the truth that Israel is the only reliable ally the U.S. has in the Middle East". "When you support Israel, you don't have to choose between your interests and your values; you get both". "Our enemies think that we are you, and that you are us. And you know something? They are absolutely right". "The truth that Americans don’t want to face,is this: “President Obama is not pro-Israel”, Pastor John Hagee said at the closing banquet of the annual Christians United for Israel summit in Washington, D.C.
"Mr. President, go tell Russia what to do. Go tell the Chinese what to do. Go tell Iran to stop building a nuclear bomb...Israel is not a vassal state of the United States". "President Obama told the Jewish people in Jerusalem that they could not build homes in east Jerusalem...The truth is Barack Obama has absolutely no authority to tell the people what they can and cannot do in the state of Israel." "We gathered here at this conference with one message: Israel today, Israel tomorrow, and Israel forever." "Attention liberal media: The Jewish people are not occupying the land of Israel, they own the land of Israel, America should never pressure Israel to give up land for peace, not for any reason, not to anyone, ever... America should never pressure Israel to divide the City of Jerusalem, not for any reason, not to anyone, ever.."
"If our government forces Israel to divide Jerusalem you can mark that day as the day that God will turn his back on the United States of America." Hagee also took on former White House reporter Helen Thomas, who was forced to resign last year from her post as a Hearst Newspapers columnist after she was caught on camera saying Israeli Jews should go back home to Europe. “You’re wrong, Helen, The Jewish people are home". (The Daily Caller). If the world goes down the road of dehumanizing Jews again, “then count me a Jew and come for me first,” Glenn Beck declared in his keynote address at the closing banquet of the Christians United for Israel (CUFI) summit in Washington, D.C. Tuesday night. "For once and for all the good people of the world must remember there is a difference between good and evil, and we must choose." "In regards to the Jewish people and Israel, until you have been chased and killed in country after country, until you are truly friendless ... until that is you, you have no idea what it's like to have a place to finally rest your head, while someone in exactly the same position takes the night watch and watches for you and your family. "It is time that the world declares firmly in a unified voice that Israel not only has a right to exist but to exist as a Jewish state....The Jewish people have a right to Live.."
"Israel is the canary in the coalmine. As Israel goes, so goes the Western way of life." Beck closed his speech by warning the enemies of Israel and the Jewish people that times have changed and the Jews would not be alone in any confrontation. “This still is America 2011. We are not the Christians of the Crusades. We are the Christians United for Israel,” he said. (Al Arabia English).In an exclusive interview with Al Arabiya in Jerusalem on July 19, Israeli Prime Minister Benjamin Netanyahu said that Israel would not intervene with the Syrian revolution. Here are excerpts from the interview, which was produced by Al Arabiya’s Current Affairs team, headed by Antoine Aoun. NETANYAHU: Obviously showing enormous courage in the face of strong brutality, we don’t intervene with what happens in Syria. But we obviously would like to have peaceful relationships with Syria and we could only hope for a good future for the people of Syria. They deserve a good future. One of peace and one of freedom. AL ARABIYA: Do you support the so-called revolution now in Syria? NETANYAHU: You know anything that I would say will be used not against me but against the process of genuine reform that people would like to see in Syria. So we don’t intervene in Syria. But it does not mean we are not concerned. A) We would like the peace and quiet on the Israeli/Syrian border to be maintained, and B) I’d like to have that ultimately turned into a formal peace between Israel and Syria. And C) I think the people; the young people of Syria deserve a better future. AL ARABIYA: Prime Minister, you just mentioned the peace along the borders of Israel and Syria, now some people would say that present regime of Bashar Al Assad and before him his father Hafez Al Assad in fact kept peace for about 40 years along those borders, to the extent that some people would say that the regime is indispensible from the point of view from Israel is that right? NETANYAHU: No, no it’s not right. I mean, I hear people saying that in point of fact, we are not there to choose the next regime, the next government of Syria. I think it’s for the people of Syria to choose but, we didn’t have peace, we had a state of peace, no peace no war. Even though, you know several people tried including myself, in secret negotiations to try to move towards a formal peace. I think what has also disturbed us is that Syria supports and has supported Hezbollah and Iran and Lebanon. The people of Lebanon under five years ago wanted to have their Cedar Revolution. Iran took it away from them with Hezbollah and with Syrian supporters. NETANYAHU: We will always look for people who want peace. We will want always want peace, we don’t nullify people on their belief. But we do expect them in their world view to have a place for the State of Israel. If people say “you know the State of Israel shouldn’t exist, wiped off the face of the earth.” Iran or Hezbollah then there is not much of a place to go. If people have different views, we will listen to those views but I think that from two points of view. One from the internal Arab point of view; if people say we want democracy. Then ask all those that compete in a democracy to respect democracy. I think this is you can’t ask people to say all right we open a democratic doors who want to destroy democracy. The second is from my point of view: I’m willing to negotiate peace with anyone that’s willing to accept the right of my people and my country. With regard to a Palestinian state, Mr. Netanyahu said that “everything is on the table” in regards to negotiations with Palestinian President Mahmoud Abbas. NETANYAHU: Six Israeli Prime Ministers, myself included have been negotiating and we all agreed to a Palestinian State. So why didn’t we have peace? Some of them, two of them made very generous concessions and we all recognize that we have to make difficult compromises for peace. I recognize it as that. AL ARABIYA: Do these compromises include Jerusalem and Palestinian refugees? NETANYAHU: You know that these issues will be brought up. AL ARABIYA: So they are on the table? NETANYAHU: Everything is on the table. But we need to get to the table and this is my point. The main point that I’m saying is we haven’t concluded a peace. Either because the Palestinian leadership did not want to get to the end, maybe they had reasons they didn’t want to get to the end of the negotiations. In my case and my frustration in the past two years, we can’t restart the negotiations. And I repeat what I said to you a minute ago is that this is the most important thing. I’m prepared to negotiate with President Abbas for peace between our two people right now. We can do it here in my home in Jerusalem, we can do it in Ramallah, and we can do it anywhere. NETANYAHU: We are not preventing the importation of goods, food, and medicine to Gaza. Anything can go through. The Gaza economy has grown by 25 percent in the last three months. It’s almost a world record. We are concern about having a naval approach to Gaza.That is naval access to Gaza because on a ship you can bring in the entire rockets fired into Israel. In one ship in the second Lebanon war. We don’t want those sea lines open until there is a regime in Gaza. That makes peace with Israel and doesn’t fire rockets into Israel. That is our concern but anybody can come into Gaza. If people want to free Gaza, then they should free it from this Hamas regime that doesn’t give the real freedom to the people of Gaza. We have no argument or battle with the people with Gaza. We are concerned with Hamas a terrorist organization that fires rockets into Israel. That we are concerned with. That is the only reason for a naval action. (by Mozgovaya-haaretz).Over 5000 Christians, mainly of the Evangelical persuasion, gathered this week at the Convention Center in Washington for the annual conference of the organization CUFI, Christians United For Israel. Prime Minister Benjamin Netanyahu addressed the Christian Zionist conference via satellite, and Ambassador to the U.S. Michael Oren compared the participants' support of Israel to British military officer Orde Wingate’s training of Jewish paramilitary units before the establishment of the State of Israel. Pastor John Hagee, the founder of CUFI, told the audience, many of whom were waving both Israeli and American flags, “We gathered here with one message: Israel today, Israel tomorrow, and Israel forever.” He added, “President Obama is no friend of Israel”. "If the US Administration forces Israel to divide Jerusalem – God will turn his back to the United States of America. The G-d of Abraham, Isaac and Jacob is watching America, Mister President, go tell Russia and the Chinese what to do." Glenn Beck: "Israel, You are not alone." (Boaz Bismout-YisraelHayom).Glenn Beck returned to Israel less than two months after his last visit here. His aim is to organize a mass gathering on the 24th of August under the banner "Restoring Courage". "From Israel, the capital of courage, we will send a message to the rest of the world, and we will also show you, Israelis, that you are not alone," said Beck. Beck cannot understand "how the aggressor becomes the victim, how the victim becomes the one who is dangerous." In an interview with Israel Hayom, Beck says that he can't understand how a nation still facing the danger of extermination, this time at the hands of Iran, does not receive sympathetic and encouraging coverage in the world media. "Someone has to speak the truth, If someone can tell it better than I can, then by all means, please do. In the meantime, I'll do it myself. But today, if someone is horrified about someone else telling the truth, then Israel, and the entire lifestyle of the West is in trouble." One thing Beck despises is distortion of the truth, and lack of self-confidence in one's justification. "You Israelis should never stop believing in yourselves and your justification," Beck said. Is the traditional pro-Israel American public opinion changing? "Suddenly people are beginning to understand the horror. I never heard Americans say 'Hey, we're on the wrong side'. But now, when they realize the direction in which the world is headed, and our hesitancy, they say 'wait one minute, we know that Israel is on the right side, so what is happening here?' It's a people who are waking up now". Are you saying that American public opinion today does not reflect US government policies? "That is an understatement, Many Americans are still asleep, and that is why I am investing so much time in this. A week ago I was in Auschwitz. The U.S. knew what was going on there towards the end of World War II. But we didn't go there to save Jews. We went there to defeat Hitler. We could have spared a few bombs to destroy that camp before so many died there". Glenn Beck recently formed the 'Rally to Restore Honor' in Washington D.C. The rally was an immense success with more than half a million participants. He plans to bring masses to Jerusalem with his 'Restore Courage' rally that is planned to take place on August 24. "The world needs to see what is going on, how real brave people stand up for themselves. 'Restore Courage' is not a message from me to Israel, but from Israel – to the world." Beck is still not certain about the lineup for the upcoming rally, but he is willing to divulge that there will be "large scale participation." Like who? At least 70 people consisting of diplomats and foreign leaders, four U.S. presidential nominees (though none will speak at the rally), four senators and many other congressmen will be at the rally. Greek, British, and Australian parliamentarians will also attendant, alongside citizens from close to 100 other nations. Currently there are fund-raising initiatives to pay for those in Africa who want to attend but do not have the means to get to the rally. Glenn wants to tell us that come August 24, the world will embrace the Israeli people who "are feeling down" in order to tell them, "You are not alone." Is the rally's timing in August somehow related to the U.N. General Assembly vote on Palestinian independence which worries many in Israel and is planned for September? "It worries me. September is a critical month for the state of Israel." So the timing is not coincidence. "August 24 could be just another event or the beginning of a movement in which people worldwide begin to understand that Jews won't be kicked around. If someone in the world has a problem with the Jews – then they got a problem with me, I'm a Jew in this regard." "If we show fear and tell each other, listen it can't get any worse, then we will quickly find out that it can, much worse. The only difference is that this time, contrast to World War II, the U.S. isn't an industrial powerhouse just waiting for a reason to act. Back in those days America said lets show the world. It's no longer the case today. Today we don't have people like Winston Churchill either, people who said 'never give up, never surrender.' "
Should I conclude from your words that the world is playing the same defensive game with the Iranian threat? "I don’t want to talk about my country, but the West has buried its head in the sand – just as it did with Chamberlain on the eve of World War II. If someone came up to you everyday and told you 'I am going to kill your wife,' would you go back to your wife and say its nothing, or would you act?" Do you think we are in a situation today in which Iran believes that an attack against it is not even an option? "Four years ago, I told your prime minister, 'watch out – they're pulling one over on you.' I think they're pulling one over on my country, the U.S., as well. They aren't going to do anything. They will continue with this game, because nobody really wants to take real steps on this issue. Israel will have to attack by itself, because in the end the train cars will fill up again". The big question that you need to ask yourselves is if you are going to climb aboard the train cars again - and you know how that ends – or are you going to say, excuse me, Israel has the right to live, Jews have the right to live, and the Holocaust is not going to happen again. I don't know when Iran's point of no return will come, but God help all of us if you or someone else is forced to attack there." Don't trust anyone except yourselves. Israel needs to demand from the world the right to defend itself. Don't trust us or anyone else to protect you, because at some point, tomorrow or a thousand years from now, you will be let down, because everyone else has different interests than yours." Foreign Minister Avigdor Lieberman expressed disappointment on Sunday with Prime Minister Netanyahu's objection to an Israel Beiteinu-sponsored bill that would have initiated a parliamentary inquiry committee that would have investigated left-wing and other non-governmental organizations. "I deeply respect the prime minister and that's why I was so surprised that he suddenly said the Knesset did not need to be an investigator, Why is only the proposal of Israel Beiteinu that the heads of Likud oppose so fiercely? I think it looks odd. The Likud's strange stance really bothers me and Israel Beiteinu. We won't use this to cause a coalition crisis. I see no reason why this coalition shouldn't last until 2013, but I certainly will insist that the heads of Likud display more loyalty and collegiality to their main coalition partner." Lieberman blasted the left-wing NGOs that he said cooperated with the Goldstone Commission and have been active in efforts to harm Israel's image around the world. He accused the press of improperly explaining the bill. "What I have unfortunately seen over the past few days is an attempt to delegitimize Israel Beiteinu and our proposal, I have never seen such a large quantity of lies, defamation, and distortions. These NGOs are not leftist groups or human-rights organizations. These are terrorist organizations." "Israel is a democracy that defends itself against attempts to delegitimize it in the international sphere. This is the reason that we passed the law against boycotts against the State of Israel and its citizens. I think that it is an important law. However, we must act systematically and prudently vis-à-vis the steps that we are taking. There is what to correct. But we must do so methodically and cautiously and in any case we must protect our system of law and the rule of law, the courts and our enforcement agencies." "By acting in a restrained manner, the government could prevent the continuation of the delegitimization campaign that is defaming Israel. We have been, remain and always will be the only democracy that upholds law and individual rights in the Middle East. I hope, by the way, that perhaps this will change in the future, but it certainly does not seem so in the present." (Newsmax).The Iranian-backed terrorist organization Hezbollah is expanding its influence in Latin America with the aid of Hugo Chavez’s Venezuela, according to testimony before the Committee on Homeland Security. At a July 7 committee meeting, Roger Noriega — former American ambassador to the Organization of American States — said Hezbollah has been establishing alliances with Mexican and other drug cartels. Noriega told the committee that the Venezuelan government is encouraging Hezbollah activities in several Latin American nations. A key operative in the Hezbollah network, he pointed out, is the second highest ranked diplomat in the Venezuelan embassy in Syria, Ghazi Nassereddine. Nassereddine, who was born in Lebanon, reportedly manages a network that raises and launders money and trains operatives to expand Hezbollah’s influence in Venezuela and other Latin American countries. Noriega also noted that an Iranian overseer of Hezbollah is Mohsen Rabbani, who is wanted by Argentinian prosecutors for his role in the 1992 and 1994 terrorist attacks against the Israeli embassy and the Jewish Community Center in Buenos Aires. “Noriega’s main point seems to be that the presence of Hezbollah in the region has metastasized,” Luis Fleischman observed in The Americas Report, a project of the Center for Security Policy. Also appearing before the committee was Douglas Farah, senior fellow at the International Assessment and Strategy Center. He said Hezbollah is helping to build tunnels used by drug smugglers along the U.S.-Mexican border. These tunnels could be used to smuggle terrorists and weapons of mass destruction into the United States, he warned. Ilan Berman, vice president of the American Foreign Policy Council, told the committee that Hezbollah has established terrorist training camps in Venezuela and is setting up a camp in Mexico to illegally infiltrate operatives into the U.S. According to Berman, Hezbollah already has a presence in 15 American cities. (Hanoch Daum-YediotAchronot).The storm provoked by the Boycott Law exemplifies the fact that vacuums around here are always filled by something bad. After all, what’s really happening in Israel at this time? The unemployment rate is at a 20-year low, last month the number of tourists who arrived in Israel was the highest in more than a decade, and the personal security situation is the best we have seen here in the past 30 years or so. Generally speaking, people no longer fear terrorism as they did in the past and they also do not feel that they are about to lose their jobs. Meanwhile, immense reforms are being undertaken in the transportation and education systems, and in the communication market as well. Elsewhere, all the threats we’ve been hearing about the diplomatic tsunami we are about to face are turning out to be almost-psychotic anxieties. Yet despite all of the above, it seems there is no hint of all these good things. The leftist camp in this country is lamenting the Boycott Law as if a war broke out around here. I watch the news and see nothing that will give away, even through a small hint, the minute and apparently not so important fact that Israel is currently experiencing one of the finest periods in its history. Netanyahu slautes Chabad: “You stand atop of the mountain, And the Jewish people gathered at its base salute you". (via Lubavitch and Jpost).Prime Minister Benjamin Netanyahu was guest of honor at a Tel Aviv banquet Thursday evening, celebrating 20 years of the Federation of Jewish Communities of the CIS. Addressing the crowd of Chabad emissaries and friends, Netanyahu praised Chabad’s work in the Former Soviet Union. “Everywhere in the Soviet Union, there was darkness and you brought light"..
“We are all fighting the same fight and share a joint mission for the sake of the Jewish people and the Jewish homeland. With you, we embrace the communities of the Diaspora all over the world". (Via Jpost). Only one in three Palestinians (34 percent) accepts two states for two peoples as the solution to the Israeli-Palestinian conflict, according to an intensive, face-to-face survey in Arabic of 1,010 Palestinian adults in the West Bank and the Gaza Strip completed this week by American pollster Stanley Greenberg for the Israel project. Greenberg and Laszlo Mizrahi (Israel Project president)have presented the findings to President Shimon Peres, opposition leader Tzipi Livni, Foreign Minister Avigdor Lieberman, Vice Premier Moshe Ya’alon and Prime Minister Netanyahu’s senior adviser, Ron Dermer. 66% percent said the Palestinians’ real goal should be to start with a two-state solution but then move to it all being one Palestinian state. 72% percent backed denying the thousands of years of Jewish history in Jerusalem, 62% supported kidnapping IDF soldiers and holding them hostage, and 53% were in favor or teaching songs about hating Jews in Palestinian schools. When given a quote from the Hamas Charter about the need for battalions from the Arab and Islamic world to defeat the Jews, 80% agreed. 73% percent agreed with a quote from the charter (and a hadith, or tradition ascribed to the prophet Muhammad) about the need to kill Jews hiding behind stones and trees. Among Palestinians in general 65% preferred talks and 20% violence. In the West Bank it was 69-28%, and in Gaza, 59- 32%. Do you support that law that makes it possible to sue those who call for a boycott of settlements and their products? What is your position on the need for a boycott law? Are you concerned about the future of democracy in Israel? Do the controversial laws promoted by the Right strengthen or weaken Israel? Who is primarily responsible for the schism in Israeli society, the tension and the uproar since the laws? (Jpost).More than half of the Israeli public believes a third Intifada will break out if the Palestinians follow through with plans to make a unilateral declaration of statehood in September, according to a poll conducted by the Dahaf Institute and released by the Knesset Channel on Thursday. 52% feared the outbreak of a violent Palestinian struggle in the event of a unilateral declaration of state, while 40% believed that an Intifada would not break out. 54% believe an Intifada will break out even if the United Nations does not recognize the proposed Palestinian state, whereas 38% of respondents believed the opposite to be true. Only 30% of respondents said they think Israel should negotiate with a Palestinian unity government including Hamas. 29% said Israel should negotiate with the Palestinians, but not if Hamas is part of the government. In addition, 29% of respondents believe that Israel should not take part in any diplomatic relations with the Palestinians. Arab MK Zoabi gets Violent in Israel's democratic legislature - "You're abusing the democracy"
MK Hanin Zoabi (Balad) flew into an uncontrollable rage Wednesday during a Knesset speech by Prime Minister Netanyahu. Netanyahu noted that he expected Opposition parties to protest regarding other issues – such as the participation by MK Hanin Zoabi (Balad) in the violent Gaza flotilla in 2010...and addressed MK Hanin Zoabi. "We have here an MK who participated in a provocative flotilla meant to break the state's naval blockade. You are lucky you are a member of the Israeli parliament and not the Syrian parliament for example." The remark threw Zoabi into a rage...she was visibly distraught and pushed a Knesset guard who was escorting her out (2:27 on video). "You initiated the bill. Key members of Kadima endorsed the original proposal...So why did Kadima MKs who had supported the original bill, decide to oppose it at its final proposal? Maybe because it was made stricter and therefore they had changed their minds?" "The simple truth is that you had proposed, you had supported and you advanced the bill, so why did you change your minds during the vote? Because their was pressure and you, Kadima Knesset members, folded under the pressure." Referring to his absence from the vote, he said: "Make no mistake, I approved the bill. It would not have gotten here had I not." "I'm against boycotts. Both those directed against the state and those directed against groups of citizens. I'm against boycotts against Arabs, haredim, and Israeli citizens. We have friends living in Ma'aleh Adumim, Gush Etzion, Ariel. Do you want to subdue them? Go to the Knesset, set up a government." "One can file an appeal with the Supreme Court, and we honor the Supreme Court. We shall honor and defend it." "What stains (Israel's) image are those savage and irresponsible attacks on a democracy's attempt to draw a line between what is acceptable and what is not". "We have here an MK who participated in a provocative flotilla meant to break the state's naval blockade. You are lucky you are a member of the Israeli parliament and not the Syrian parliament for example." "The legitimate debate is used to de-legitimize Israeli democracy. Israel has enough slanderers, so I'm asking you not to join them. Israeli democracy is a model democracy and shall always remain so." "The root of this conflict never was a Palestinian state, or lack thereof. The root of the conflict is, and always has been, their refusal to recognize the Jewish state..." (PM Netanyahu, Knesset May 16 2011). (Haaretz,Ynet).he foreign ministers of the Middle East Quartet failed to reach an agreement on Monday surrounding the recognition of Israel as a Jewish state and therefore did not issue a public statement on their meeting meant to renew Israeli-Palestinian negotiations, Western diplomats and senior officials in Jerusalem said Tuesday. "The goal was to give each side something that was important to them," a Western diplomat said. "The Palestinians were supposed to get 1967 borders with land swaps and the Israelis wanted to receive in return the recognition of Israel as the Jewish homeland, but there was no agreement on this matter." A senior Israeli official said that Russian Foreign Minister Sergei Lavrov took mostly pro-Palestinians positions in the Quartet talks and would not allow the inclusion of Israel as a Jewish and democratic state in the concluding statement of the meeting. Officials say the Palestinian Authority opposed a Quartet demand to withdraw their plan to declare statehood unilaterally at the UN in September. (secureamericanow.org).While American Jewish voters, like the rest of the country, believe that economics is the most important issue facing the nation, they also believe that for the American Jewish community the single most important issue for the Jewish community is Israel. In a poll conducted by Democrat Pat Caddell and Republican John McLaughlin for the non-partisan organization Secure America Now http://www.secureamericanow.org/ , American Jewish voters expressed admiration for many of President Obama’s personal qualities (honesty, leadership, intelligence...) they also expressed deep concern about the state of Israel/US relations and policies being championed by the Obama Administration. * 93% are concerned about Israel being threatened by Arab nations and Iran that want to destroy Israel. * 81% are against Israel being forced to return to its pre-1967 borders. * 73% believe Jerusalem should remain the united capital of Israel and only 8% support that the US should force Israel to give away parts of Jerusalem. * 88% believes that a prerequisite for Palestinian Statehood is their recognition of Israel as a Jewish State. * And by a a 54-21 majority they feel that the Arab Spring has made the world more dangerous for Israel. The bipartisan poll, also found that Obama is likely to have particular trouble with Jews in the all-important state of Florida, as only 34 percent of Florida’s Jews would vote to reelect him. The Fact Checker by Glenn Kessler - Obama and Israel:stalled diplomacy or ‘suspicion and distrust’? (Glenn Kessler-WashingtonPost).The Israeli-Palestinian issue is often considered a central test of a president’s diplomatic skills. Former president George W. Bush was criticized for appearing to ignore the issue until the last months of his administration; he was reacting in part to the unsuccessful, last-gasp efforts of Bill Clinton to strike a deal. Obama decided to take on the challenge from day one, appointing a special envoy to prod the parties toward peace. The administration further upped the ante by immediately pressing Israel to suspend settlement construction, believing such a gesture would help bolster Arab support for the peace process. Few people appear to remember this now, but the administration’s pressure tactics initially had the support of congressional Democrats, who ambushed Prime Minister Binyamin Netanyahu with “harsh and unequivocal statements” about settlements when he visited Washington. But the pressure backfired. Israel eventually agreed to a partial, temporary freeze, but that was not good enough for emboldened Palestinians. Arab leaders balked at offering incentives to Israel. The administration ended up looking weak. The president was critical of the administration’s performance in a 2010 interview with Time magazine. “I think it is absolutely true that what we did this year didn't produce the kind of breakthrough that we wanted, and if we had anticipated some of these political problems on both sides earlier, we might not have raised expectations as high,” he said. Obama and Netanyahu had a major breakdown in relations in early 2010 over a perceived snub of Vice President Biden while he was touring Israel. Despite a lack of agreement on the parameters of talks, late in 2010 Obama then pressed the Israelis and Palestinians into talks that lasted barely two weeks. The administration again looked ineffectual. The special envoy, former senator George Mitchell, recently resigned, leaving no replacement in sight. The administration is now fighting a rear guard action to prevent Palestinian officials from pressing forward with a plan to seek United Nations recognition of a Palestinian state. In May, Obama again tried to jump start the peace process by saying that peace talks should begin with Israel’s 1967 borders, with swaps of land agreed by both sides. His remark created a firestorm and within days he sought to clarify his statement. In the annals of diplomacy, compared to how other presidents had discussed the issue, we thought his statement was a significant shift. One key reason is that he did not pair it with similar demands on the Palestinians or reiterate language about Israel being able to keep some settlements. The difference is subtle, but Israel would prefer to give up land it seized in war in exchange for concessions from the Palestinians. But the Palestinians — who argue they have already given up much of the historic state of Palestine — want the talks to start on the 1967 lines, which could require Israel to make concessions in order to retain settlement blocks. The statements by former Massachusetts governor Mitt Romney and former Minnesota governor Tim Pawlenty are more difficult to check. The Pawlenty campaign, for instance, cites a New York Times article about Obama “trying to box in Mr. Netanyahu” as evidence that Obama thinks “Israel is the problem.” Well, not really: the main point of the article was that Obama was giving up a full freeze on settlement expansion in response to Israeli counterpressure. On the other hand, there are other news reports that feed into this notion. An JTA article on a March meeting between Obama and Jewish leaders quoted Obama as telling them to contact friends in Israel and asked them to “search their souls” over Israel’s seriousness about making peace. That sounds tough — though the article goes on to note that participants in the meeting disagreed vehemently over what the president actually said. Indeed, the interpretation was in the ear of the listener. “The people who loved Obama probably still love him, the people who had big reservations about Obama probably have more reservations than they had before,” one Jewish organizational official told JTA. The same question of interpretation recently erupted over the administration’s stance on Hamas, the Palestinian militant group that controls the Gaza Strip. Meanwhile, despite the diplomatic differences with the Israeli government, Obama has also greatly strengthened security and military ties with the Jewish state and defended Israel repeatedly at the United Nations. (INN).American news personality - GBTV Host Glenn Beck told the Knesset Aliyah and Absorption Committee Monday that the Biblical Esther and Ruth have guided him as he stands up for Israel. “Esther knew she had no choice but to come out and speak,I knew I had no choice but to speak the truth. I came here in 2002, looked for the truth, and when I got home, I received my first death threat." “Your people are my people and I will go where you will go. Your G-d is my G-d. I invite the People of Israel to stand with your G-d."
Beck spoke at the committee hearing at the invitation of committee chairman Danny Danon (Likud) and Shas Knesset Member Nissim Ze’ev. The panel wanted to hear Beck’s views on fighting the worldwide campaign trying to make Israel seem illegitimate. “The world has changed. People now have power,” Beck told the committee. He explained that the Internet has allowed people to be more accessible to the truth, which he said has been censored by mainstream media. “The world is being changed by a few guys in the basement writing on the Internet. The truth will set you free. Forget the [mainstream] media". (IsraelHayom).U.S. Secretary of State Hillary Clinton swore in Dan Shapiro as the new U.S. Ambassador to Israel in a ceremony at the State Department on Friday. "There is an enduring partnership between the United States and Israel. It is rooted in our shared values, and forms the core of our national identity," Clinton said. "With Dan at his side, President Barack Obama and the U.S. government will continue to ensure Israel's enhanced military advantage (in the Middle East),By sending one of his closest advisors to be the new ambassador, President Obama is once again demonstrating his personal commitment to the strength of our relationship with Israel." 42-year-old Shapiro was, until recently, director of the Middle East desk at the White House National Security Council. Prior to that, he served as U.S. President Barack Obama's advisor on Middle East and Jewish community relations during Obama's presidential campaign. *Only 51.4% think Israel is isolated in the international arena. *52% see the government's functioning on foreign and defense issues, as poor or very poor. *Only 56% think the Palestinians will declare a state in September at UN. *70% believe Israel is not likely to face a political and economic tsunami. *Only 25% of the Jewish public thinks there is a chance of reaching a peace agreement based on the principle of two states for two peoples in the next two or three years. *Only 26% of the Jewish public is currently prepared to support a full peace agreement with the Palestinians in return for evacuating all the territories of Judea and Samaria, while 70% oppose this. *50% support a peace agreement that leaves the large settlement blocs in Israel’s hands, and the rate of opposition falls to 45%. *62% support an agreement that would include retaining the settlement blocs, a Palestinian declaration of an end to the historic conflict, and Palestinian recognition of Israel as the state of the Jewish people. In recent months, politicians and the media have frequently referred to what is called the "international delegitimization campaign against Israel,” which is being waged on different fronts. Yet the data from this month’s survey shows that such admonitions have not made a substantial impression on the Israeli Jewish public. Indeed, while about half of Jewish respondents (51%) think Israel is isolated at present in the international community, there has been no change for the worse regarding this perception; in fact, there has even been a tiny improvement from the 54% who held this opinion in August 2010. Interestingly, in the Arab public, the rate of those viewing Israel as currently isolated stands at 32%. This is both much lower than the prevailing perception in the Jewish public, and much lower than the perception of Arab respondents a year ago, when 48% of Israel’s Arab citizens saw Israel as isolated in the world. When it comes to the government’s functioning in the area of Israel’s foreign relations, a small majority (52%) of the Jewish respondents assess the government's functioning as poor. The Arab public is more critical, with 67% giving the government a negative grade. In most cases, a cross-check of the responses to this question of Jewish respondents with their report of their voting in the most recent elections does not yield surprises. 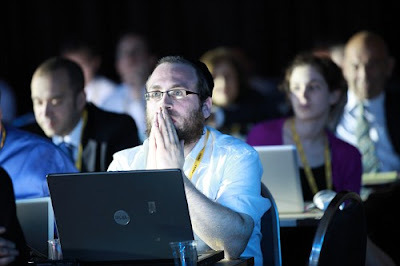 Among Likud and Shas voters, 70% say the government’s functioning in the area of foreign relations is good, among Meretz voters not a single person thinks so, and only a small minority of Labor and Kadima voters assess it as such – 22.5% and 25%, respectively. Interestingly, among voters for Yisrael Beiteinu, a party that is considered “far right,” the majority that views the government’s functioning in the realm of foreign relations as good is quite small, at only 55%. Voters for another right-wing party, the National Union (HaIchud HaLeumi), are evenly split between positive and negative assessments. Presumably, in both of those cases, the criticism of the government’s functioning stems from the divergence between the positions of right-wing parties regarding foreign policy and the positions of parties on the left and center. As to whether the Palestinians will declare an independent Palestinian state based on the 1967 borders and seek recognition for it from the UN General Assembly in September, the present survey reveals a significant decline in the rate that the Jewish public thinks such a step will indeed be taken as compared to last month, with a drop from 75% last month to only 58% this month. This change apparently stems from recent media reports that the Palestinian leadership is seeking to “climb down from the tree” and find a substitute for a declaration of statehood and appeal to the UN because of statements indicating that leaders of major Western countries, including the United States and Germany, will not support a unilateral Palestinian measure. In the Israeli Arab public, the rate of those who believe the Palestinian leadership will declare a state in September – 41% – is low, but is higher than in the Jewish public and similar to previous months, when only a minority of Israeli Arabs thought the Palestinians ultimately would declare a state or turn to the UN. Similarly, the Jewish public has seen a significant decline in the rate of those who think that if the Palestinians declare an independent state and ask the General Assembly to recognize it, a majority of the Assembly will do so: this has dropped from 75% in the two surveys that were conducted last month (before and after Netanyahu’s visit to Washington in May) to 67% this month. In this case, the prevailing view in the Arab public is the reverse, with only 43% foreseeing a General Assembly majority. The Jewish public’s confidence in Israel’s ability to cope with international pressures is evident from the fact that even though 70% of Jewish respondents are worried about the country’s international situation, exactly the same number say that even if a Palestinian state is declared and recognized by the UN, Israel is not likely to face a political and economic tsunami from the countries of the world if it does not recognize the Palestinian state. At most, the majority thinks that Israel’s relations will deteriorate here and there. In the Arab public, however, opinions are divided: the prevailing view (48%) is that Israel is likely to face a political and economic tsunami, while 43% do not see such a wave of hostility on the horizon. This month, we checked the extent to which the Jewish public is currently prepared for an evacuation of the territories. It emerges that the critical question concerns the “terms of the deal.” If one talks about a permanent peace agreement in return for evacuating all of the territories, only 25% of Jewish respondents express support. When one offers those who oppose a deal on such terms the possibility of leaving the large settlement blocs in Israel’s hands, the rate of support rises considerably to half of the Jewish public. If those who also oppose this formula are offered two more “benefits”—Palestinian recognition of Israel as the state of the Jewish people and a declaration of the end of the conflict—the rate of support for the whole package rises to 62%. Prime Minister Netanyahu recently stated in an interview with writer Etgar Keret that the Israeli-Palestinian conflict is not territorial but primarily national-religious and hence apparently irresolvable. In light of this statement, it is worth noting that 20% of the Jewish public see the conflict as mainly a territorial conflict, 13% as a political conflict, and 13% as a religious conflict, while the dominant view (43%) is that the conflict is simultaneously territorial-political-religious. In the Arab public, 35% define the conflict as territorial, 18% as national, 7% as religious, and 32% as all three together. While slightly over half of Jewish respondents ranked the government's functioning in the area of foreign as poor, the picture in the socio-economic domain is gloomier. Sixty-two percent of the Jewish public considers the government’s functioning in this area as poor. Moreover, a sweeping majority of 80% say that the socioeconomic issue is troubling to them. In order to identify the source of the public’s unease about the government's socioeconomic policy, we asked the following question: “In recent years the Israeli economy has been characterized by two parallel trends—stability and economic growth, and a parallel widening of the gap between rich and poor. Some claim that the two trends are interrelated: reducing the gap is likely to harm growth and stability, while enhancing growth and stability widens the gap. If this claim is true, what would you choose today – more growth and stability or more efforts to reduce the gap?” The distribution of the answers in the Jewish and Arab publics is unequivocal: in both, the overwhelming majority chooses the option of reducing the gaps (95% of the Jewish public and 89% of the Arab public). At the same time, when the respondents were asked whether their personal and family economic situation has changed in recent years, 27% of the Jewish public responded that it had improved, 41% said that it had not changed, and 31.5% indicated that it had worsened. The corresponding figures in the Arab public are 19%, 1%, and 75%, respectively; that is, the negative effect of the economic situation on this sector is much more severe than on the Jewish sector. (Jpost). Jerusalem is bracing for a busy diplomatic week, beginning on Monday with a meeting of the Quartet in Washington, continuing Tuesday with an Arab League meeting that will discuss the Palestinian bid for statehood at the UN, and concluding with Friday’s deadline by which the PA must submit a resolution for statehood to the UN secretary-general if it wants the Security Council to take up the matter during the September General Assembly. Israeli officials have expressed concern that in an attempt to dissuade the Palestinians from going to the UN in September, the Quartet might propose a formula for re-starting negotiations based on US President Barack Obama’s comments in May about starting talks on the pre-67 lines with mutually agreed land swaps as a baseline. The concern in Jerusalem is that the EU, Russia and the UN want to see those parameters formalized, without adding in what Obama also said in his speech at the State Department and a couple days later at AIPAC, signaling Israel as a Jewish state and the need for iron clad security guarantees. According to some diplomatic sources in Jerusalem, Prime Minister Netanyahu would be amenable to entering talks along the parameters of the pre-67 lines with mutually agreed swaps, if the formula also included such “sweeteners” as a reference to Israel as the nation-state of the Jewish people, and that an agreement would signify the end of conflict.